From June, customers who are out of the minimum term of their contract will see their bills go up by between 50p and £3.50 a month. In a text sent to customers they were warned about the unexpected price “adjustment”. The rise comes just two weeks after the mobile giant announced that new or upgrading customers will be able to use their call, text and data allowance in 40 countries without paying extra charges. The latest hike is in addition to the 3.2 per cent inflation rise announced in March, which took effect this month. 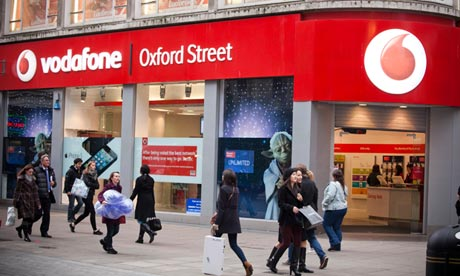 Hannah Maundrell, editor-in-chief of money.co.uk, said: “This double whammy price hike isn’t going to win Vodafone any favours. “If you’re a Vodafone customer that isn’t in contract then it’s definitely worth checking the deals you could get with other networks. Vodafone’s rise was bigger than the increases already announced by rival networks EE and O2 earlier this year. EE pushed up some customers bills by 2.5 per cent from March 30 in line with the Retail Price Index (RPI) announced by the Office for National Statistics (ONS) in January. While 02 increased monthly bills for its pay-monthly and sim-only customers by 2.6 per cent in April, in line with the latest RPI figure announced last month.